Let us protect your vehicle's finish with our paint protection films. With MICRO EDGE TECHNOLOGY, 99% of our customer say "WHERE IS IT." XPEL is one of the very few brands fully committed to protecting your vehicle. Each product protects your car, is durable, and, most importantly, high quality. We make sure you get only what's best for you. 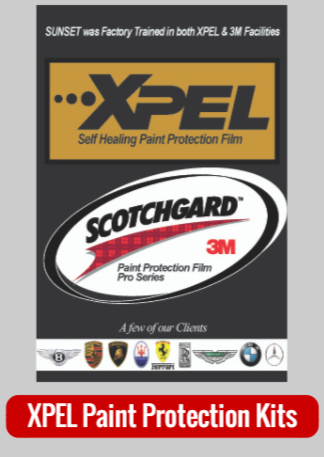 Have questions regarding XPEL paint protection films? Click here to see our FAQ page. Can't find the answer to your question? Feel free to call us at (501) 663-8468! We are happy to help! See this expense as an investment. In the long run the paint of you car can get damaged. With paint protection you are not only protecting your car but your wallet too. Our staff has gone through extensive training programs to guarantee quality results each and every time. We are sure you'll be happy with our services! Take a moment to learn more about our company and team members.